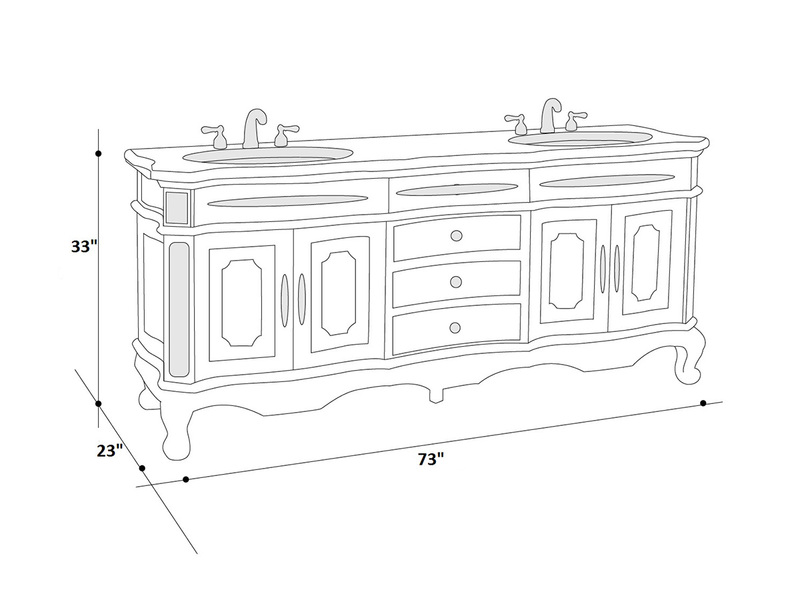 Pack your bathroom full of style with the 73" Helena Double Sink Vanity. Its Antique Yellow finish makes a beautiful backsplash for the intricate detailing that deck every inch of this vanity. Scrolled legs elevate the cabinet so that its beauty becomes the focal point. Two double-door cabinets and four spacious drawers offer tons of storage space while its spacious Dark Emperador Marble top offers a beautiful complement as well as plenty of counter space.